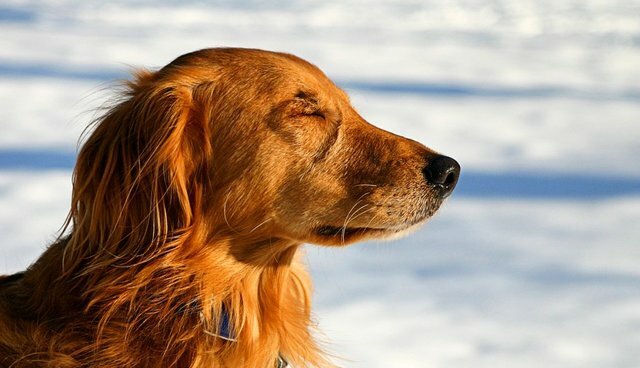 I can't tell you how many times someone has watched the way I treated my Golden Retriever and said to me, "I want to come back as your Golden." It makes me laugh but there's a lot of truth to it, too. I confess I do treat my pet better than I treat other people. I'm sure I am not the only pet owner guilty of this. But let's look at the facts. Does your spouse or significant other greet you at the door every night wagging a cute tail and running around in circles because she or he is happy you're home? Does your true love jump up on you, try to lick your chin, nearly knocking you over? And that's just the first greeting. I am sure many of you have your special morning greeting with your pets. It sure beats the trash talk I heard this morning from my significant other when I woke up to, "Did you remember to put the trash out last night?" My day usually begins at 6AM when I feel a bounce on the bed and open my eyes and see Morgan with two paws on the mattress with a big smiley face. Who else would be so happy to see my morning mug shot and smell my morning breath? Morgan's adoring expression made me think of an article I read by Dr. Suzanne Phillips, clinical psychologist at Long Island University. Dr. Phillips writes how pets can teach us about improving our relationships with our wives, husbands, partners, spouses, or significant others. I'll take it one step further and say what pets can teach us about the way we treat each other in general. Dr. Phillips asks some insightful questions. See how you do? First: No matter how you feel and what mood you are in, you greet your pet with a positive, even animated hello and often with a display of physical affection. How often do you do this with your spouse? Or even your friends? Second: How many times have you been waiting at home for your spouse, irritated that they're late and then when they finally arrive we greet them at the door with "Did you get the dry cleaning?" "I hope you didn't forget the milk?" "Did you mail my letter?" I know when I'm late and irritated there is no better welcome home than hearing Morgan's tail thump, thump, thump on the floor as I turn the key in the door. Third: When your true love puts away the mail and they forget where they put it, how many times have you reacted by losing your temper? Dr. Phillips says there is a natural tendency to forgive pets their trespasses and I agree -- after all, the dog wasn't trying to torture you by eating the mail. Was your partner really trying to torture you by putting it in such a safe spot it can't be found? So if you failed this quiz don't feel bad -- so did I. But I'm going to make a genuine effort to follow Dr. Phillip's advice and try to be a little more patient and sweeter with my partner by following Morgan's loving example.